Tea Towels in assorted colours which are suitable for all catering applications. Great for all kitchen areas. 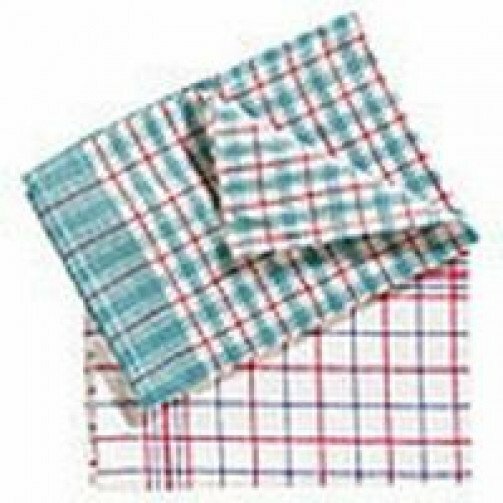 A tea towel or dish towel is a cloth which is used to dry dishes, cutlery, etc., after they have been washed. 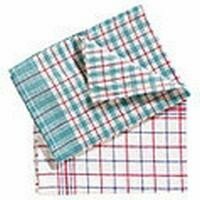 In 18th century England, a tea towel was a special linen drying cloth used by the mistress of the house to dry her precious and expensive china tea things. Servants were considered too ham-fisted to be trusted with such a delicate job, although housemaids were charged with hand-hemming the woven linen when their main duties were completed. Tea towels have been mass-produced since the Industrial Revolution.